One way to tell you are dealing with an unsafe person is to look–not just at their bad behavior, but more at their reactions if they are caught or confronted. No one is perfect. Even normal people will say or do unkind things sometimes. A normal person will feel remorse and SHOW it–not just say it. A normal person will try not to hurt others. A normal person will try to make changes. A normal person can learn lessons. A narcissist or other disordered person does not or cannot do any of those things. A narcissist might say they are sorry, but they will not show that they are. They will not change. They will not even attempt to change. They will not show remorse. 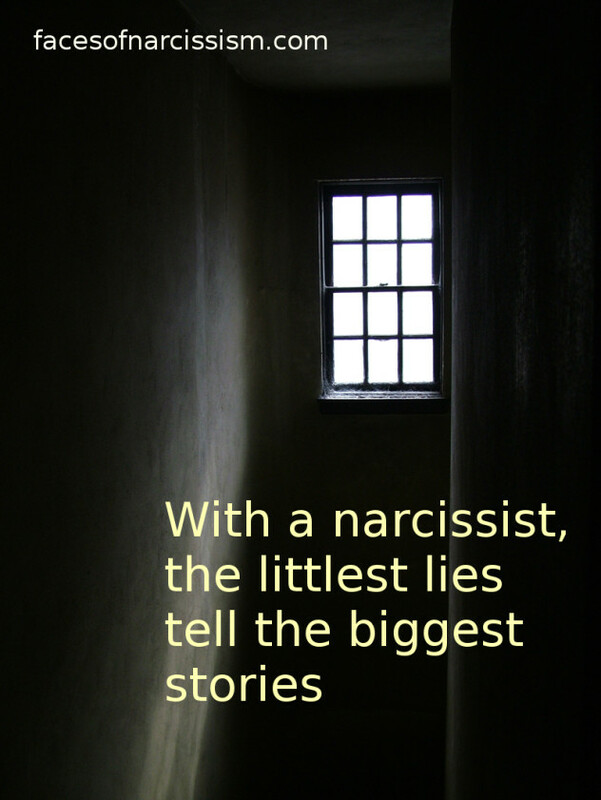 Furthermore, a narcissist will often became angry, (sometimes dangerously so,) and defensive when they are confronted or when they are held accountable. They will turn their behavior around on you. They will change the subject and go on about something you did in the past. They will change the subject and try to confuse you by reminding you of something nice they once did, (as if that is a free pass to hurt you!!) They will blame you for allowing them to hurt you or they will fight with you for confronting them. They will turn everything around and make you the bad guy for bringing it up. They are no different with police officers or other authority figures. If they get a ticket, pay a fine or get arrested, they will blame the officer or the person who reported them. If they get kicked out of school, they will say the rules are too harsh. If they get written up at work, they will claim the boss is unreasonable. They will never learn a lesson. Instead, they will go back to doing the exact same things, and they will repeat the cycle of distraction, deflection and blaming everyone but themselves.